Deontay Wilder fights Gerald Washington this weekend, in Wilder’s native Alabama. The 6’7″ Bronze Bomber holds the WBC heavyweight championship. But it’s a mistake to call him a “world champion.” He’s just one particular belt holder in the heavyweight division. Fighters not ranked:Tyson Fury and Wladimir Klitschko would have been one and two on this list a year ago. But neither man has entered the ring in over a year. So they are deemed inactive. No. 1: Alexander Povetkin Holds no alphabet-soup belts but has by far the best resume of any active fighter in the division. No. 2: Anthony Joshua His IBF title is a joke. His ability to starch contenders and his willingness to step up against Wladimir Klitschko in April, after less than 20 professional fights, is serious as a heart attack. No. 3: Luis Ortiz Based on his dominant stoppage of Bryant Jennings, I consider him the top talent in the division–he’s big, athletic power puncher with outstanding technical skill. May turn 40 before another top fighter is willing to face him. No. 4: Deontay Wilder Nobody can argue with Wilder’s power. He could knock down a barn. But sustained campaign against faded journeymen and second-tier contenders has grown tiresome. No. 5: Joseph Parker His WBO belt has no more legitimacy than Joshua’s IBF crown. But Parker is clearly one of the division’s top current fighters. No. 6: Kubrat Pulev Got demolished by Klitschko, but has been too big and skilled for anybody else he has faced, including some decent, second-tier contenders. No. 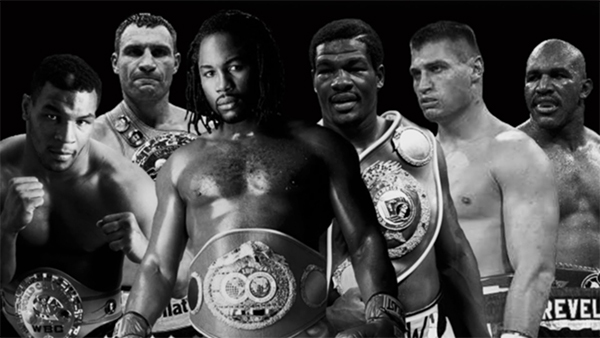 7: David Haye A former dominant champion at cruiserweight and the quickest, most athletic man on this list. No. 8: Andy Ruiz Lost against Parker in his bid to capture the WBO trinket, but turned in a solid performance. No. 9: Christian Hammer Got knocked out by Tyson Fury in 2015, but is coming off from two good wins over Erkan Teper and David Price. No. 10: Lucas Browne His WBA “regular” title is an absurdity. But his stoppage of Ruslan Chagaev to capture that belt was a very good performance.